All of my READY TO SHIP items are 30% off, starting tomorrow, 4/24/19 thru 5/01/19 for 1 week, or until gone! Get stocked up for summer while my items are on sale. Go to the Ready to Ship section and you will see everything available in various sizes! My children's clothing line is colorful, modern and whimsical. Creativity comes natural for me with an artist mother and a woodworking father. I love it!! I've tried just about every art form and enjoyed every one. 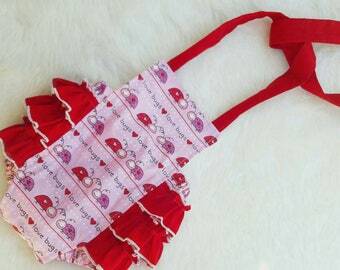 But, when I started sewing for my granddaughter, (Willow), I found my passion. Isn't that what we all strive for? I sew all the time and I can't help it! I also make baby shower gifts and nursing necklaces. I love creating in my home studio. It's small but it's my favorite room in the house. There is nothing like walking in to a room full of beautiful fabrics!! Thanks for stopping by and I truly hope you find something you love! P.S. I'm also a child of the King! I can’t get over how amazing these are your the best!! July 4th is just around the corner. Is your princess ready? Pink Lemonade Romper is perfect for summer! Happy Independance Day! I'm getting 3 orders ready to ship out tomorrow. Hope your long weekend was a great one!! This romper is my new favorite and seems to be others' too!! Colorful, modern and whimsical children's clothing and accessories line made by me! My studio is located in my home and is my favorite room in the house! I create and I can't help myself. I get my creativity honestly with an artist mother and a woodworking father. Thanks mom, for teaching me to sew, crochet, knit and paint at an early age! I tried many many art forms from beading to oil painting. When I started sewing for my granddaughter, (Willow), I found my passion! Isn't that what it's all about? I use beautiful designer fabrics and quality threads and other notions. I want you to be perfectly thrilled when you open a package from Willow's Whimsy Boutique! 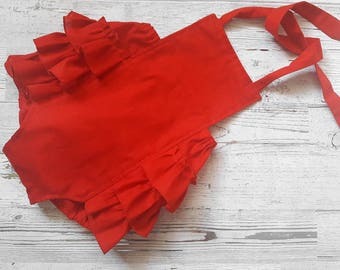 Let me make a lovely outfit or accessory for your little one. Everything handmade by me with lots of love! Thank you for your ordering from Willow's Whimsy Boutique, your item will soon be made with much love for your little one! I thank God for this opportunity to run my own children's shop and I thank you again for your order. My store is closed on Sundays as this is our family time. If you have any questions/concerns, please send me a convo and I will read them and respond first thing Monday morning! So glad to have you visit my shop! Refunds and Exchanges Items will not be exchanged, unless there is a flaw in workmanship, they are final sale. No refunds unless it's an error on my end and I'm unable to exchange. I am able to exchange if I have the fabric available. If you're in need of an exchange, send me a convo here on Etsy. Item must be in brand new condition and it MUST BE within 1 WEEK of receiving them. The exchange will be based upon review of the product. If I receive them and they don't appear to be in brand new condition, I will send them back. Thank you for your orders! My turnaround time is currently 5-7 days. I have a few READY TO SHIP items, which will ship next day. Look under the Ready to Ship "Section". There are some items which can ship within 3-5 days. If you need something to ship next day, let me know and I will let you know how much the shipping will be. My goal is to get orders finished as soon as possible..... Please allow the posted turnaround time for the item to be shipped.